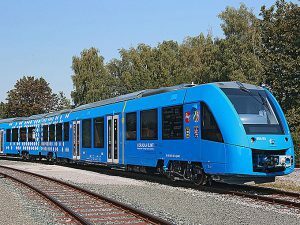 Alstom and rolling stock leasing company Eversholt Rail have unveiled a concept for a hydrogen multiple-unit (HMU) for the British market that involves converting existing EMUs (electric multiple-units) for operation on non-electrified routes. 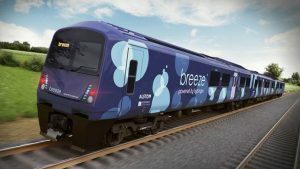 The concept, dubbed Breeze, involves reengineering class 321 EMUs originally built by British Rail Engineering Limited in 1988-1991. Most of the fleet of 117 trains is due to come off lease within the next few years due to the delivery of new equipment. 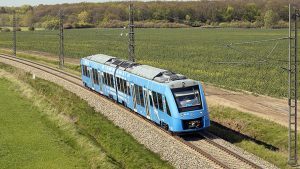 Alstom’s Coradia iLint, the world’s first hydrogen fuel cell powered regional passenger train, has won the 2018 GreenTec Award in the Mobility category by Germany-based Schaeffler Group Industrial, a manufacturer of machinery, power transmission and railway, heavy industry and consumer products with facilities around the world. Fuel cells—a technology originally developed for NASA’s Gemini and Apollo space programs in the 1960s—are powering an Alstom main line passenger trainset.